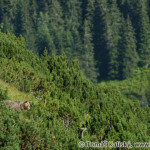 We offer a 20% discount on bear watching in High Tatras. Now is the best time for observation. The discount applies only to orders received until the end of September 2018 for observation in 2018. 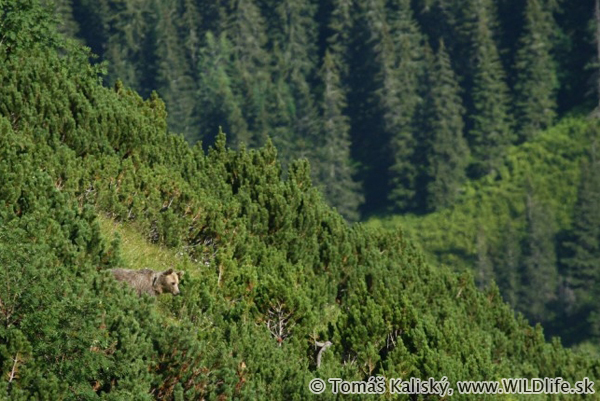 Brown bear (Ursus arctos) is considered an uncrowned king of the Slovak nature. 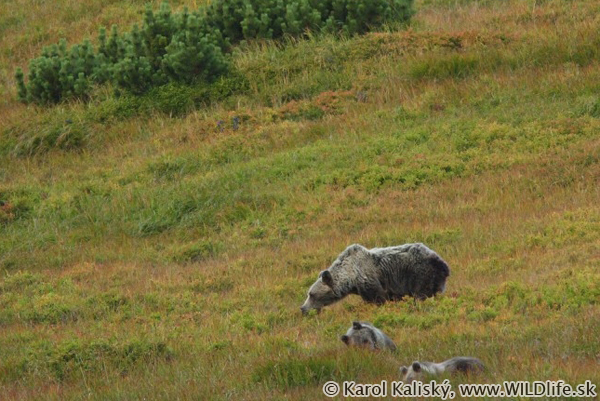 Bears use to live as loners, but in the end of summer and the beginning of autumn it is possible to spot them also in small groups. They gather on sites in the upper parts of spruce fir forest and over the treeline, where they can find big abundance of various berries. 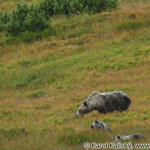 Despite that bears use to be connected with danger and fear in the people’s minds, it is possible to observe them from a reasonable distance, even from the tourist path. With the use of professional spotting technique we will observe them from the distance of 700 – 1 500 meters without any disturbance of these beautiful animals. 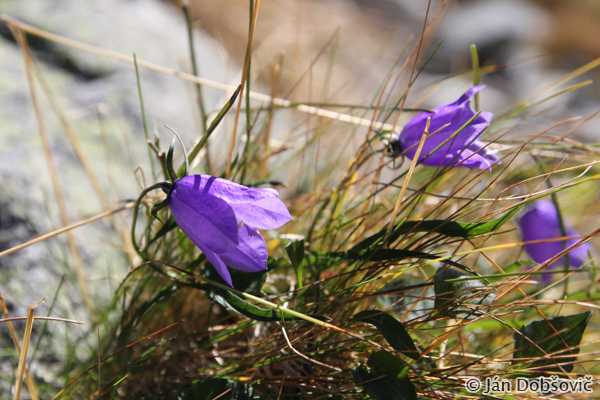 We will have a chance to discover the beauties of our mountain wilderness – Tatra mountains. Join us and explore the kingdom of the Brown Bear! 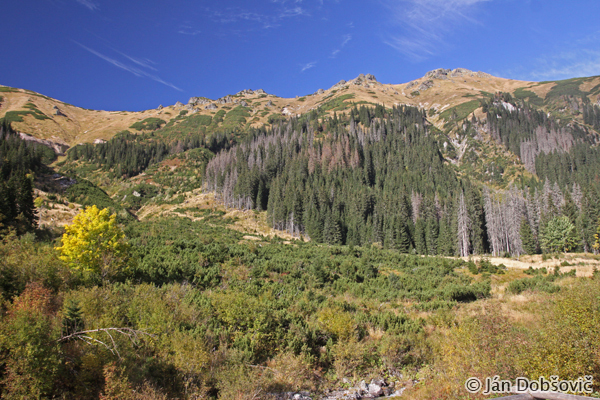 characteristics: Target area of our trip is Tatra National Park. This oldest national park in Slovakia was founded in 1949. 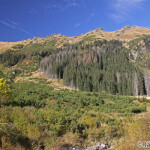 Tatras are the highest mountains of the Carpathian arc. It is the only Carpathian mountain range with an alpine character and it is considered the smallest alpine mountains in the world. We will climb to the altitude of 1 250 m. We will hike in the spruce altitudinal zone, mainly in its upper parts. We will visit places stricken by wind calamity in 2004, so besides observing bears we will learn something also about these matters. We will see places, which are planted with trees, and also places which were left to nature. You can make your own opinion on what works better. 1/2-day trip can be done either in the morning or in the evening to increase the probability of successful observation. The routes will be moderately difficult, long maximum 16 km, with the difference between altitudes maximum 400 meters on a marked tourist path. There is a possibility to rent a bike. Price for bike is 12 Eur. Amount of bikes is limited. Time to get there varies: by bike it’s 90min there and 30min back, on foot it’s app. 2 hours both ways. Important information and trip conditions: Participants of the trip take part on their own responsibility. We do not provide travel insurance for the participants. watching.sk will provide expert commentary and spotting technique for observing of bears. We will observe them only from tourist path. This trip is not open for public (people without prior registration – we need all the data required in the application form). The observation will be carried out from safe distance 700 – 1 500 meters, so we should not come into a close contact with this animal deliberately. We do not advise this trip for children under 10 years of age. 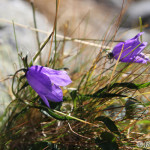 Morning: Departure in the early morning; bear observation in the Tatra valley (12-16 km, elevation 230 – 400 m; depending on the place of observation). Return before midday. 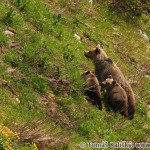 Evening: Departure in the afternoon or in the evening (depending on the season); bear observation in the Tatra valley (12-16 km, elevation 230 – 400 m; depending on the place of observation). Return late in the evening. Day 1: Meeting at 9:00 in Bratislava, drive towards Tatras, lunch break between 12:30 am – 1:30 pm, accommodation, transfer to the beginning of our route (16 km, superelevation 230 m), return late in the evening. Day 2: Early in the morning we set off for another route at similar site (12 km, superelevation 230 m), Brown Bear observing, wind calamity in Tatras – explanation and practical demonstration of struck areas. Return to the place of accommodation in late evening hours. 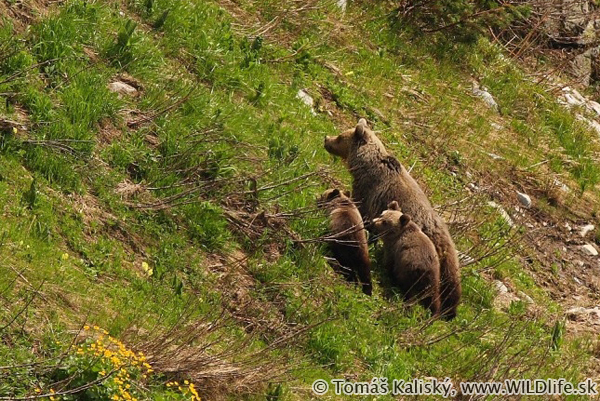 Day 3: Program according to previous days, the visit of one of three valleys with the occurrence of bears (max. 16 km, superelevation 400 m), around lunch departure to Bratislava, return to Bratislava in the evening. watching.sk reserves the right for small changes of program due to actual occurrence of animals and terrain conditions. Starting and final point: Bratislava. Possibility to get an extra paid transfer from airport Vienna. The best time for observation brown bears is in mid-June and from mid-August to the end of October, depending on the weather. If you are interested in this trip, please don’t hesitate to contact us, either by email to info@watching.sk or give us a call at +421 948 495 111. We can then discuss the date that suits your needs the best.